CHICO: "I would like the west better if it was in the east"
CHICO: All we want to know is where is the train? 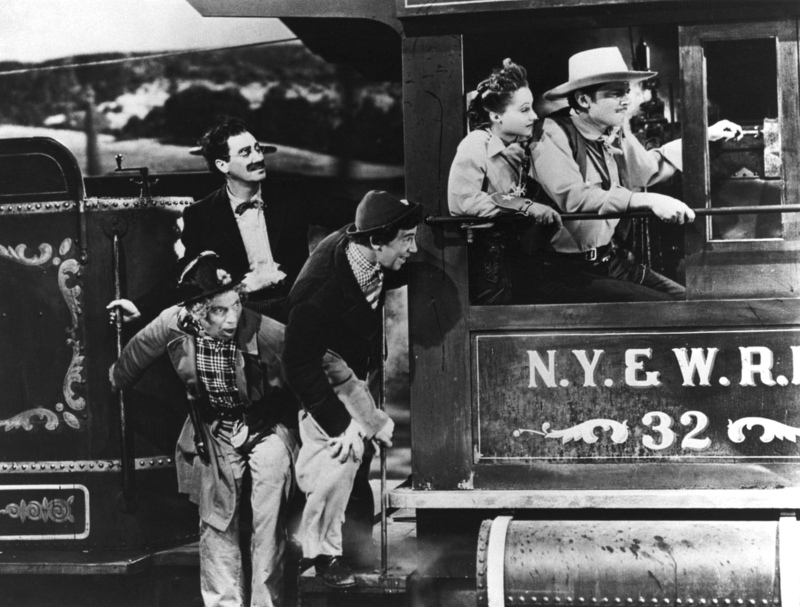 GROUCHO: The train? It's out on the tracks. It seldom comes in here. 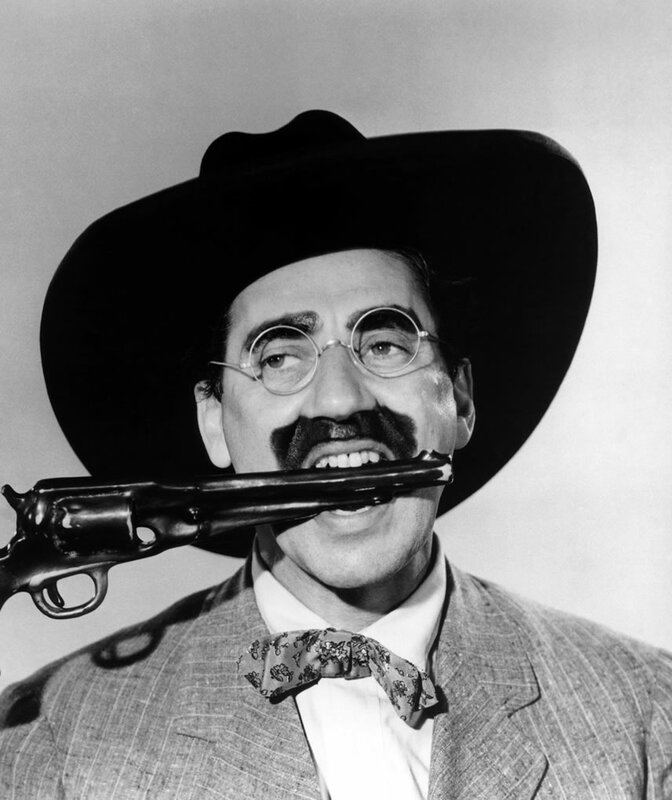 GROUCHO: There’s only one law in the west: the law of blood and bullets. It’s either shoot or be shot. What are we gonna do? GROUCHO: [dramatically] Suppose I brought you back to my native land. What- what would my people say? GROUCHO: Well, they'd phrase it more delicately. GROUCHO: [Obviously intoxicated, commenting on his glass having just been shot in half by another character] Less whiskey next time, my glass can't take it. GROUCHO: Where have I seen your face before? CHICO: Right where it is now.